The beauty of a place previously unknown to twentieth-century scientists. 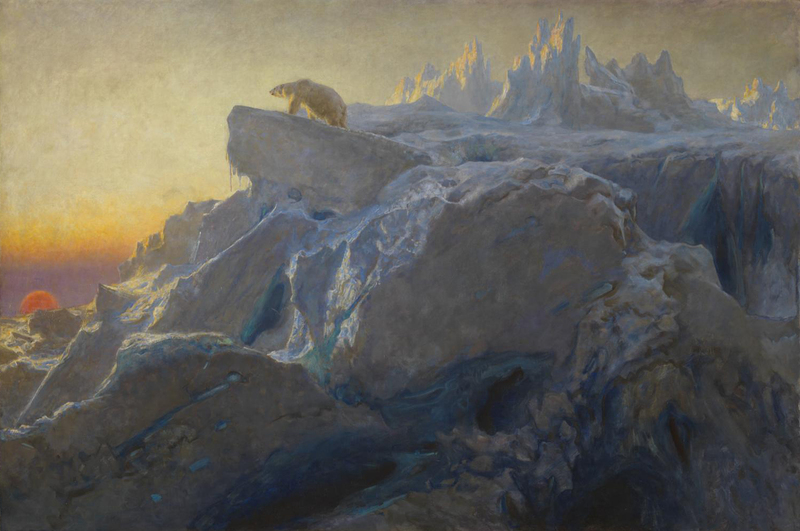 Beyond Man’s Footsteps, by Briton Riviere, 1894. Photograph © Tate (CC-BY-NC-ND 3.0). 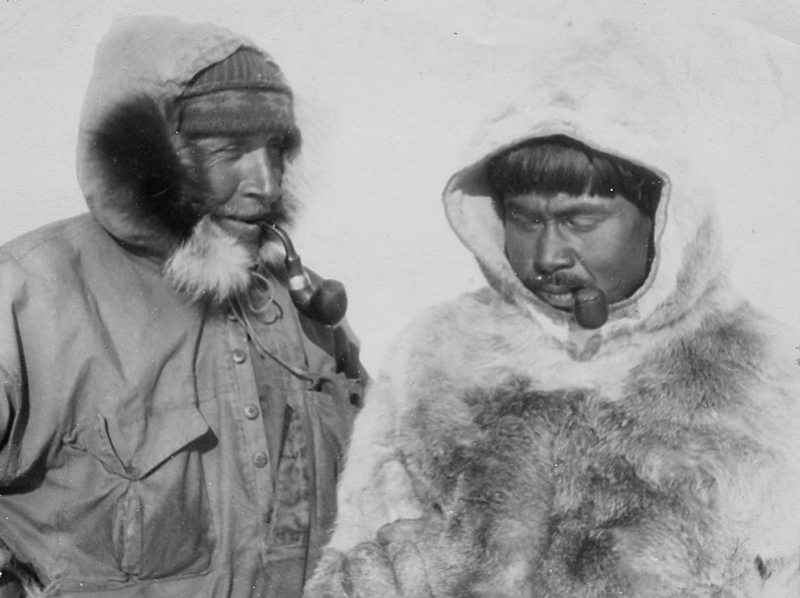 Alfred Wegener was glad not to be a whaler. He huddled on a pile of ropes, his eyes fixed on the barely recognizable horizon. It was the only thing on this blessed boat that stayed remotely still. It did him good to hold firm to it with his gaze. From here, at the center of the seesawing, there was no way to determine what was swaying more, his own guts or the belly of the ship. Immediately after their departure in 1906, looking out from the deck over at the whalers’ sloops, First Lieutenant Johann Peter Koch, a haggard cartographer, had attempted to explain to him how a ship behaves in waves: “What is known as swell is composed of two independent motions.” Using his hands, he had drawn the stamping and rolling so vividly on the cold sea air that Wegener was overcome for the first time by something akin to seasickness. There had been none of this strange trundling from deep below on the Spree barges. It felt as though the whole world were restless. In the meantime, he had come to relate personally to every detail Koch had tried to demonstrate. Only his limitation to stamping and rolling seemed wrong to Wegener. He could easily have added some dozen further motions to the slim nautical dictionary—first, the drunken lurching between two waves; then the jerky shaking on the crest of a wave, like a wet dog coming back to dry land; furthermore, the entire ship’s delayed nodding, which could be exacerbated to a gigantic, perfectly executed bow. There was the slight deflection of the stern, coupled with a gentle leaning of the upper deck, and he also held a sinister memory of the gradual rising of the ship’s entire rump, ended only by the sudden plunge into the bottomlessness of a wave trough. And of course he knew each motion’s corresponding reaction inside his stomach. Fortunately, the only capsizes to date had taken place there. In the morning they discovered ice blooms in the sea. Thousands of calyxes on the perfectly smooth surface, scattered as though on a spring meadow. Captain Alf Trolle had heard of the phenomenon but never seen it—the brine of the surface water crystallized into delicate forms, a few centimeters in size. They throttled the engines and glided slowly through the spectacle. For days they had heard the constant noise of the pumping machines and now they were silent at once. As far as the eye could see, they were surrounded by an ocean of radiant white flowers. Achton Friis and Aage Bertelsen, the two painters, immediately positioned themselves at the ship’s rail and captured the sight. Wegener would have liked to join them, but a glance at their easels convinced him the task was better entrusted to them. A long search for the three-color camera, finally found beneath a pile of sacks. It was still too dark for photography, however. Koch fetched up a few samples of the blooms with a net, walked along the crew lined up backboard, and handed one to each of them. the painters interrupted their panoramas to sketch the fine details. Wegener licked at his; it was as salty as the deep-blue sea. God must have been righteously in love when he created this piece of flora. Ludvig Mylius-Erichsen, the commander of this expedition, put his flower on his bare hand and watched it slowly melt. Though they all had plenty to do, they took every opportunity to stand at the ship’s rail and look out. The shapes of the drifting ice, as varied as clouds. And of such rich colors that Wegener was veritably consternated. The extent of this beauty surprised him. By night, a thin mist lay above the water, sallow in the light of the midnight sun. In the mornings it all began to shine again, down to the pale-green fast ice beneath the waterline. Impossible to tell from where the light came. The giant chunks floating on the water as though they had always been there. Their ice contained all hues. 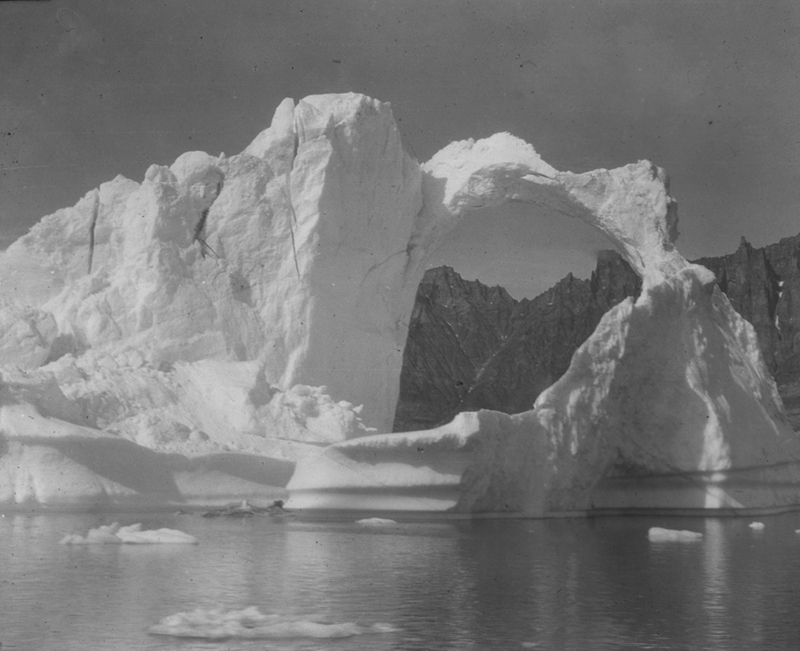 Wegener stood there and had to grip the rail, so enchantingly violet was the floe they were passing. Had someone asked him his wish, he would have wished to go on land on each of these islands. To stay there. It was only the wind bringing tears to his eyes, yet still he wiped them away before anyone saw. They installed the camera; the views were simply too wondrous. Their sole concern was whether the prints would show what they saw. The camera took three pictures at intervals. After every exposure they had to move the sliding frame holding the plates. The first exposure behind red, the second behind blue, the last behind green glass. The result was three different views, no different to the way their minds worked. They made their own images, none of them knowing how they related to one another. A list delivered with the device told Wegener the length of the exposure. For “good light in winter,” the blue and green plates required ten seconds each, while red called for twenty-five seconds. At full speed, they would have to ensure they did not lose their photo subjects from the viewfinder during the process. They photographed like men possessed for a good hour. In the end, Peter Freuchen, the assistant assigned to Wegener, said he wondered whether they might spot Santa Claus on the prints. He did spend his summers in this part of the world, after all. That same afternoon, there was an alarm. Before Wegener could gather his wits, everyone dashed with their belongings to the boats, which they loaded in haste. Wegener joined them, wishing he could call a halt to the frantic activity, or at least call for insight. Jensen ran out of the galley to the rail, his torso bare, one arm gripping his impressive belly in the vain attempt to warm it against the icy wind. In the other hand he clutched a small frying pan. Friis pushed past him, an empty easel under one arm. The second cartographer, Harald Hagerup, squatted on deck, disoriented and trembling. Frits Johannsen and Arner Manniche wound the wheels like dervishes, attempting to let one of the lifeboats down into the water. It was suspended upside down in midair. Before Wegener could call to them that they were winding in different directions, the boat had already slipped out of its harnesses and plummeted onto the water like a sea swallow on the attack. The ship’s bell was still ringing, but its noise was almost drowned out by the dogs’ barking. Wegener saw his comrades now letting down the other lifeboats, their faces contorted as though the cold water had already reached them and frozen them in one blow. He himself, to his own amazement, was entirely free from fear. He slipped his pipe into his inside pocket and was the last to leave the ship, along with the captain. They rowed to an ice floe, climbed onto it, and drew the lifeboats out of the water. Then they stood at the edge and looked over at their ship, which miraculously failed to sink. Abandoned, it rested in the water, strangely proud as though it had no need of its masters. After a while Mylius-Erichsen reported that it had been a practice alarm and they could go back on board. No one said a word. How little tension remained once the fear had evaporated. Before they re-embarked, however, Mylius-Erichsen continued, he would look through the rescued equipment; their departure had not been marked by great prudence. He inspected the load, shooing away anyone who tried to assist him. They were lacking all that was necessary. The only provisions were three crates of mixed pickles on board one boat. Mylius-Erichsen held a stern lecture as they stood useless and lost on the ice floe, like a far-traveled colony of penguins. He accused his men of having lost their heads. He wished for their sake and his own that something like this never happened on the ice. He reminded them they were not here for their own amusement. They would all have to answer to the history of science. “Books will be written about us one day. Consider that in all that you do,” he told them, looking so somber that Wegener hoped the books would not be illustrated. They rowed back to the ship in silence but their mood did not improve on arrival. The dogs had broken into the kitchen and the pantry, the salon, and even the engine room, and made a terrible mess. The off-watch was canceled, a full clean begun. At night Wegener lay in his bunk and saw his comrades in his mind’s eye, leaping about as though facing Ragnarök. One could only hope they would deal with the end of the world in a calmer fashion. Why had the danger left him so unmoved? Was there such a thing as a desire for an end? If anything, the lack of order had disturbed him. Headlessness gave him a headache, that much he knew. They named the place where they landed Danmarkshavn. It lay in the protected Dove Bay, crowded lastly by such dense ice floes that they feared they might be enclosed by ice over winter. They spent the next few weeks unloading, building a wooden house that they called the Villa and putting the instruments into operation. They explored the surrounding area. The bay was on the outer coast directly by Cape Bismarck, where the German expedition under Carl Koldewey had had to give up. They were separated from the open sea by a peninsula and surrounded by hills. The ground was bedrock. They made excursions, on foot or with the sleds, finding fossilized wood, ammonites in sandstone, and occasional polar bears, some of which they photographed, others they hunted down. They gave names to everything they saw—Storm Bay, Walrus Peninsula, Signal Mountain. They established the cardinal directions. Wegener collected a series of minor but valuable experiences: how to repair a broken sled (through deft, reckless improvisation), how to quickly disentangle the dogs’ tug line, how to prevent the beasts from running around after stopping (one had to stand on the leads so that the dogs had little room for maneuver). He scolded himself for not bringing a better timepiece; his own watch could not weather the hardships of outside readings, first telling the wrong time and then breaking down entirely. Koch offered to lend him his pocket chronometer as necessary, and Wegener accepted although it hurt his pride. Without time measurements, however, many of his observations would be pointless. He gradually came to know his comrades’ peculiarities, some of them more so than he would have liked. He was aware that the others likely now thought him a paragon of activity, but he himself saw only how he remained below his abilities and failed to reach his goals at every turn. 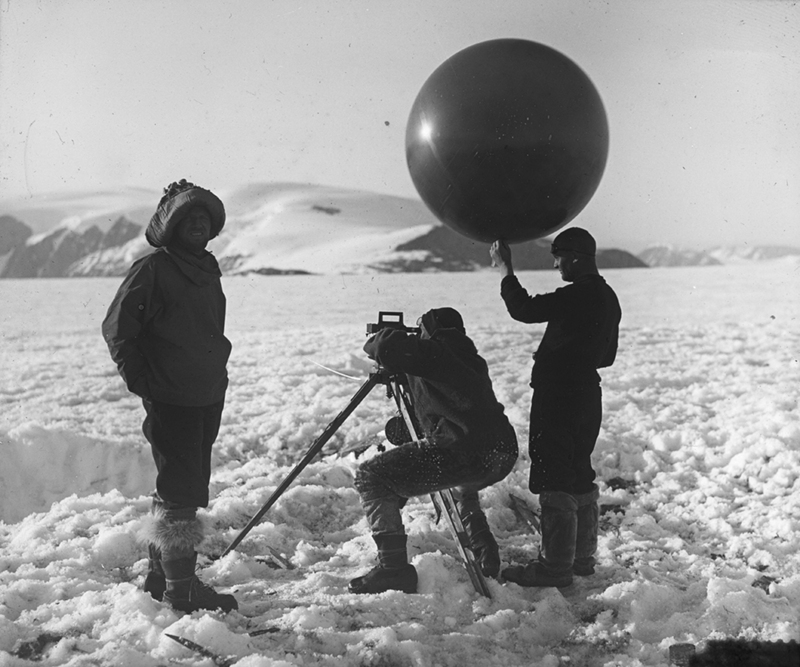 Freuchen helped him to unpack the balloons, which were stuck together terribly from the journey. As soon as they spread them out, the dogs ran over them and everything was covered in dirt again. They raised kites 1,500 meters, 2,400 meters; they could study whatever came to mind—everything was new. 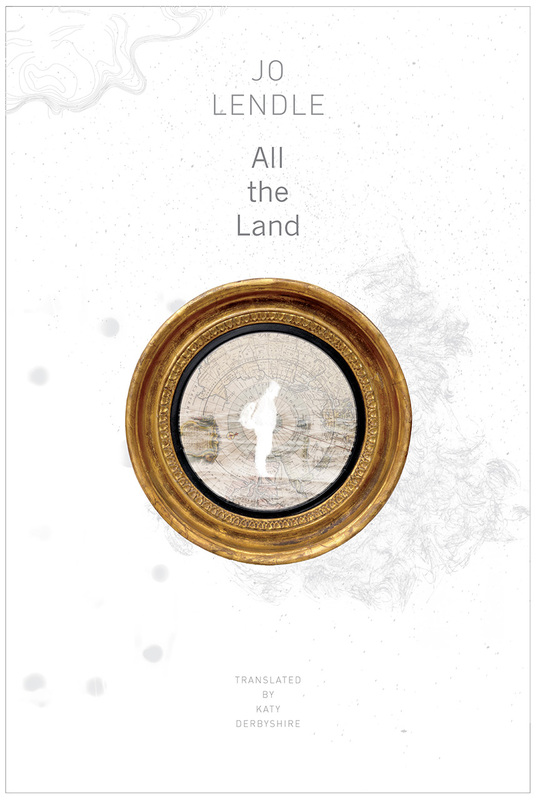 Reprinted with permission from All the Land, by Jo Lendle and translated by Katy Derbyshire, published by Seagull Books. Copyright © 2019. All rights reserved. Jo Lendle is the author of All the Land and head of Hanser Verlag, Munich.